This is a quick bonus post as part of my thrifty and nifty food series. I love it when something I buy has more then one use and I will actually choose a lot of products for their dual use, a couch because it’s also a sofa bed for example. I apply this principle to food always as it’s great to get something for free and I hate waste. So I’ve made a little list of food items that I’ve found have something ‘free’ with them or have another use then you might think. Please add you own discovers in the comments! Broccoli stalks- Cut off a layer from the main stalk as it can be a bit tough and then dice the rest of the stock and use in soups or pies as a normal piece of veg. Marmite- When you can eck out any more marmite for your toast and next time you make a meaty stock fill the jar with hot water, swish around with the lid on and you’ll get all that tasty flavour for your stock. Vinegars and Oils- If you ever get jars of food marinated in vinegar reserve the liquid for salad dressings and any marinating Oil is great for cooking as it’s already got lots of flavour in it. Spring onions- I have never bought elastic bands because I always get two every time I buy spring onions. Jars and bottles- A classic bit of recycling, use your old jars to make preserves and your bottles to make presents like flavoured alcoholic drinks or chilli and garlic oil, my favourite. My blog over the past year has mainly been dedicated to green issues, Independent shopping and DIY and the underlying theme of these topics along with my support for small businesses and my belief in a greener life is general thrifty living. As I have now left my job at the pub and are currently unemployed I can see the focus of my posts shifting towards a more frugal stance paired with eco and independent living rather then the other way around. The first thing to do is prepare before you do any shopping, so here is my quick bullet pointed guide to how I plan our meals and decide what we need to buy for the week. Open your cupboard and see what you’ve got, firstly to make sure you don’t buy something you already have and secondly because you might be able to make a meal out of something already. Create a meal plan. Keep your budget in mind, know if anyone in the house won’t be in one night, If people need lunches for work. Stick to your list– if you have a list you will focus on finding the items rather then looking at every single offer in a supermarket. So that’s how I think about my shopping and the meals I will make for the next week, so I hope it helps you if your looking to reduce you’re food bill. I am going to carry on this as a series and next time look at where to shop when on a budget. I recently haven’t done any shopping posts and I want to refresh them a little before I got back to posting them. I feel I got too obsessed with the look of them and create a cohesive board with simply colour was a sure fire way to include items I may not of whole heartedly loved. For my next shopping lists I am going to focus more on products that are great and fit for use as well as gorgeous and this starts with a list of products to help you move towards a greener life. Its not always easy being green and sometimes you might feel you don’t know where to start when it comes to helping the environment out. You can’t simply change everything you do in your day to day or chuck out all your household goods and replace them with eco alternatives. I think I much better way to tackle environmental problems in your home is to take one step at a time. 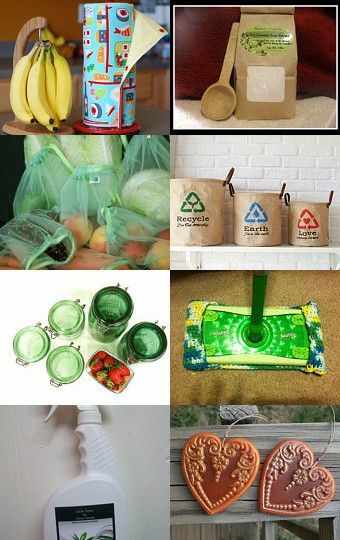 This green shopping list shows you normal everyday items but the eco alternative. Swap your usual product for one of these every week or month and eventually you will have transformed your home into a green haven. My favourite idea from this selection are the reusable paper towels by MamaMade which are wound up in a roll and have snap on poppers so you can rip off each section as you would traditional Kitchen roll. Just whack them in the wash after use and you’ll save money and the planet. Click on the photo to see the full list.